Getting together to watch the World Cup is a classic. It’s always fun to sit down with family and friends to support La Roja. 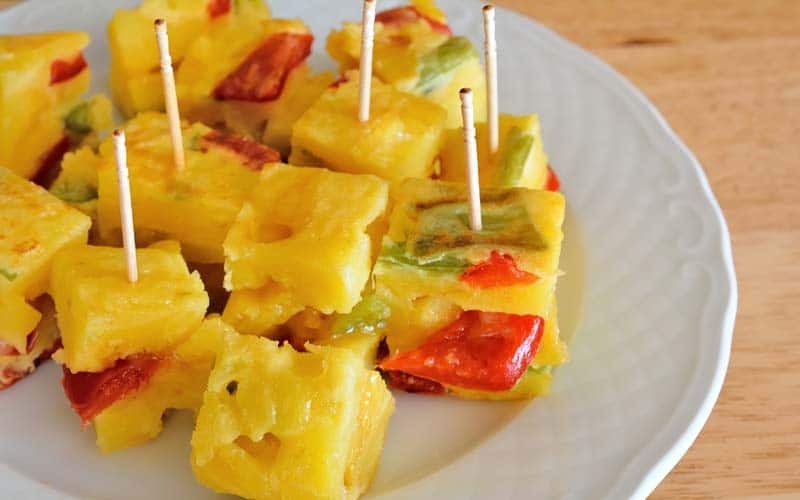 And, of course, what better way to do this than with delicious Spanish snacks to eat? In addition, these recipes have a special touch…have fun preparing them! These recipes are perfect for savoring distinct flavor combinations while watching the games. This is an easy recipe, and its colors are even soccer–themed. To begin the recipe, cut the onion and the peppers into small pieces. Put them in a frying pan with a lot of oil and poach them. Next, peel and slice or dice them, depending on what you prefer. Season them and fry them until they are ready. Meanwhile, beat the eggs together in a bowl. You can add a splash of milk to make them richer. Drain the potatoes, peppers, and the onion, and mix them with the eggs. Let the potatoes soak in the mixture for at least half an hour, then make the tortilla in the frying pan. If you want to make a true World Cup’s tortilla, use only red pepper. You can cut them up later and serve them to your guests. This recipe is one of the easiest, and everyone loves it. The tomato and cheese in the pizza also represent the colors of the Spanish soccer team. 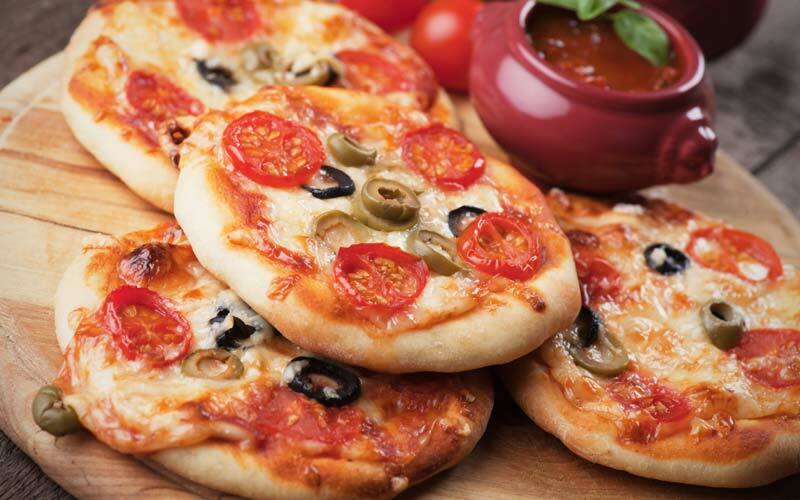 Start out the recipe by rolling out the pizza dough and cutting it into little circles with a glass or a mold. Use a spoon to spread the tomato sauce on all the dough circles and cover this with the cheese and cherry tomatoes (previously sliced). Bake them in the oven at 200 degrees for 20 minutes. It is always best to keep an eye on the pizzas because every oven is different. You can add a little olive oil or other ingredients to add more flavor to the pizzas. You can also use Burgos cheese. To start off this recipe, preheat the oven to 200 degrees. 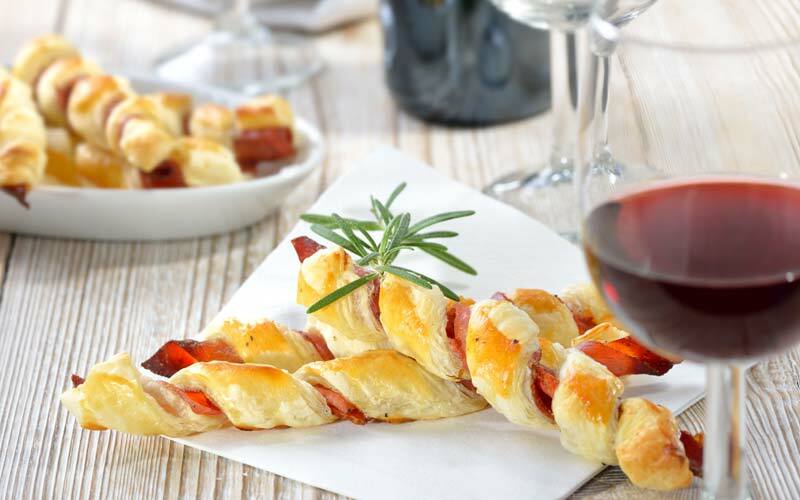 Cut the puff pastry into strips, placing the sliced serrano ham onto the pastry and twist them into a ringlet. You can do this by twisting the dough simultaneously from both sides. When you have your ringlets ready, beat the egg and brush the twists with the egg wash. This will help them brown in the oven. For extra flavor, you can add a little oregano to the top. Put them on top of a baking sheets covered by parchment paper and bake for 10 to 15 minutes. When they are crunchy, take them out of the oven to cool, and enjoy your appetizer. This recipe is the quickest to prepare. 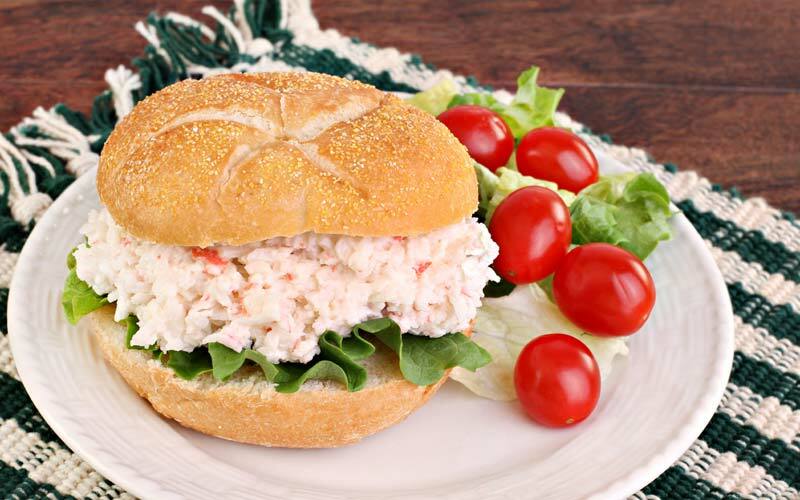 All you have to do is boil the eggs, put them in a blender or food processor with the crab stick, and blend the ingredients together. Put the mixture into a bowl and add the mayonnaise. Mix until combined. Fill the sandwiches with the mixture and serve them. If you want the sandwiches to be more refreshing, you can assemble them after leaving the mixture in the fridge for 30 minutes. You can also add lettuce and tomato to the sandwiches. And if you don’t want your guests to fill up after just one sandwich, and can make them in miniature. Many supermarkets sell mini rolls that you can make the sandwiches out of. This is one of the recipes that takes most to make, but it is also one of the most flavorful. First, mash the garlic and add the spices until you get a homogeneous mixture. Add a drizzle of olive oil and the white wine, and mix it all together. Put the chicken and the spice mixture into a freezer bag, mix well, and leave the bag in the fridge for at least an hour to let the chicken soak up the flavor. 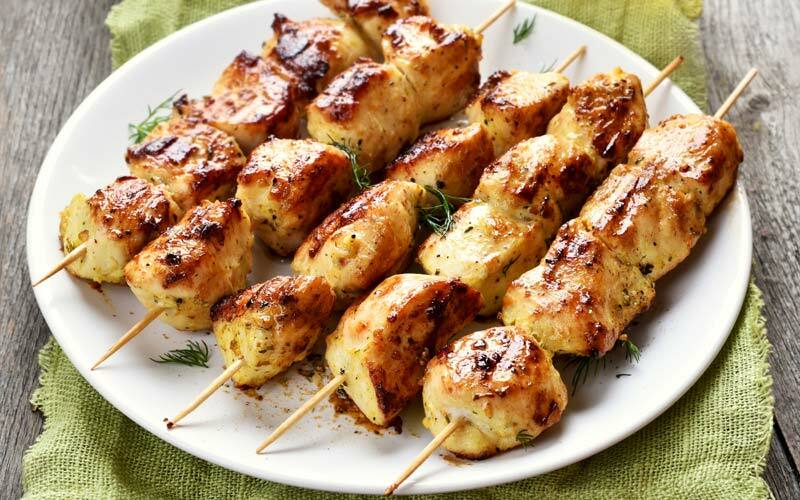 When you take the chicken out of the fridge, put the chicken on the skewers. Cook them in a skillet over high heat or bake them in the oven at 180 degrees for 20 to 25 minutes.